When James Dean rolled a ’49 Merc in “Rebel Without a Cause” it reinforced the car’s already powerful status as an American icon. 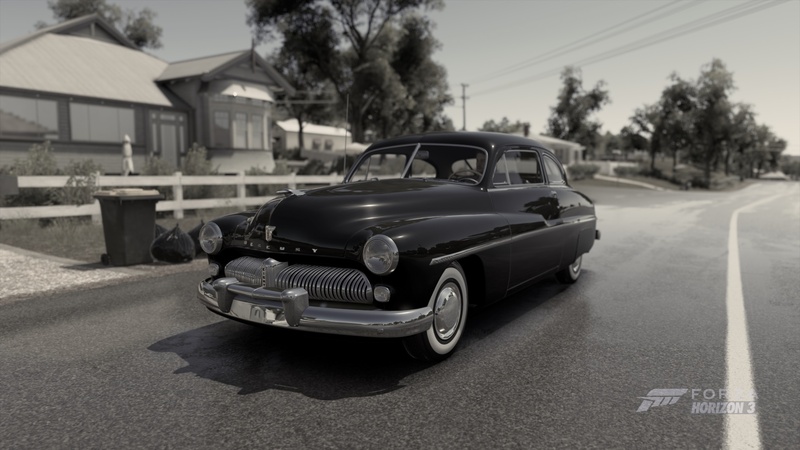 The Mercury Coupe is a true embodiment of the cars of that era. They were large, shapely, full of expressive detail built by craftsmen. Customized Mercury coupes were cruising the streets long before the term “low-rider” was ever coined. In fact, without the gads of customizers that chopped, channeled, sectioned, and frenched the headlights and taillights of these cars, the concept would never be the same. Lowering suspensions and removing chrome and exterior details started here with cars like the 1949 Mercury Coupe. You will find the ’49 Merc in the greatest of nostalgia films like “American Graffitti,” driven by The Pharaohs, or Craterface’s ‘49 Merc from “Grease.” You want menacing and sinister looks? You want the real deal cruiser? You want a 1949 Mercury Coupe.